Our Data as a Service and Continuous Analytics as a Service products and solutions help banks and financial services institutions mitigate their risks, cope up with challenges in generating revenue and face competition from Fintech companies by providing real time, deeper and faster insights. We make data accessible – no matter whether these are structured, unstructured, public or corporate. And we turn data into information, information into insights, and insights into decisions. RegI helps organizations reduce costs and risks of tracking regulations and amendments. It is an intelligent Regulations repository using Financial Ontology to fetch news and events impacting regulations. RegI is a cloud based platform that maps the typical workflow of a regulatory specialist by automatically sectioning, summarizing, and assessing the areas of impact of a regulatory document and its various versions. It continuously monitors for changes and updates of different financial regulatory bodies, proposals, initiatives as well as rules and regulations consultations and discussion papers issued by the relevant authorities. RegI helps to identify and understand regulatory requirements, improve efficiency at addressing compliance requirements, and reduce the risk of misconduct. It can help to stay one step ahead of an ever-changing regulatory environments. 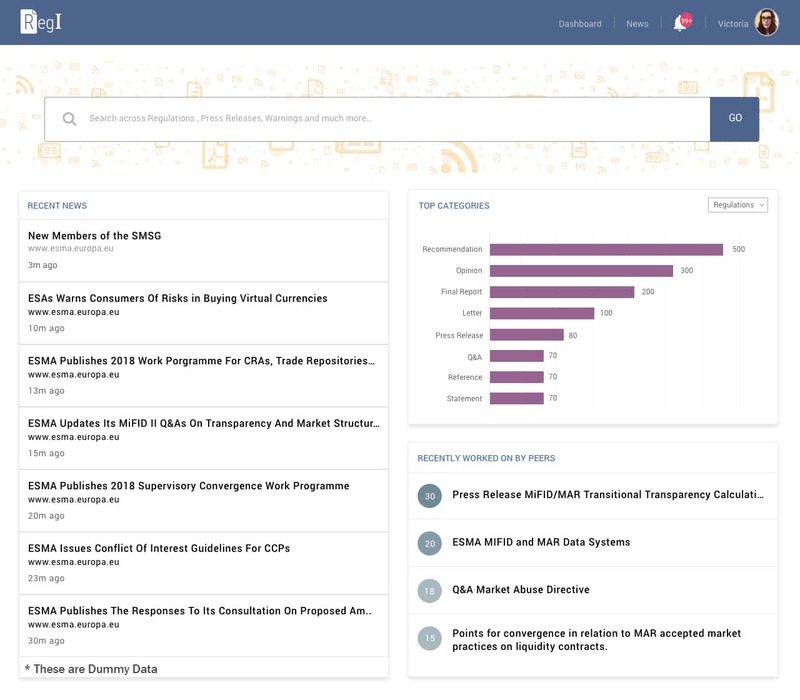 We continuously crawl and aggregate regulatory data from various data sources. We have a growing repository of data across regulations, related news and events impacting regulations. We use machine learning models and text analytics to generate insights at different levels and provide features like compare across various versions. We present all the information in an intuitive and interactive user interface. Our platform saves you considerable time and effort from collecting and updating the same information from different sources manually. You receive instant availability of insights across deep, dense and diverse data sets for taking informed decisions on impact of a regulation on your operations. You improve efficiency at addressing compliance, while reducing the risk of misconduct requirements. You get an easy to use, cloud-based decision support system. Clive evaluates Customer Lifetime Value (CLV) in order to develop sales strategies using real-time, multi-dimensional customer behaviour insights. It uses rich ontology and entity normalization framework to aggregate data from CRM and other various external data sources like social media, surveys, Google Analytics etc. Clive adds a layer of descriptive analytics with more than twenty KPIs & visualizations, with numerous filters to deep-dive. 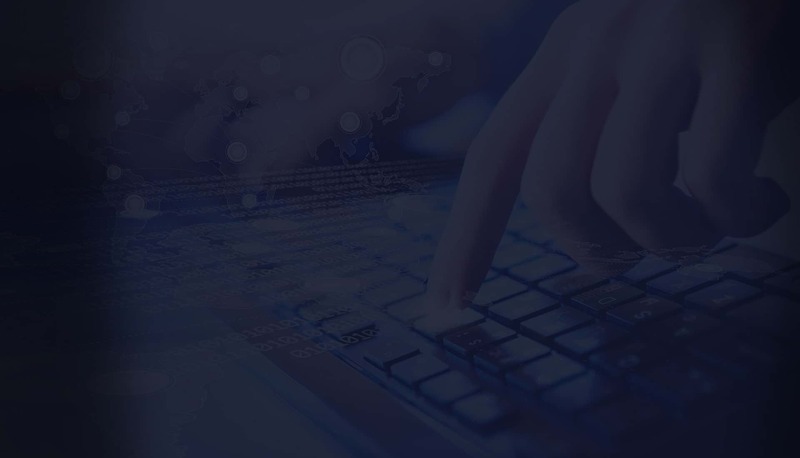 The platform enables continuous decision making capability with real-time data integration from all sources and automated analysis with options to run an appropriate campaign for any chosen geography, segment, product etc. We continuously crawl and aggregate real-time data from various internal and external data sources like social media, surveys, Google Analytics, etc. We use machine learning models and descriptive analytics to generate insights at different levels. We present all the information in an intuitive and interactive user interface with numerous filters to deep-dive. 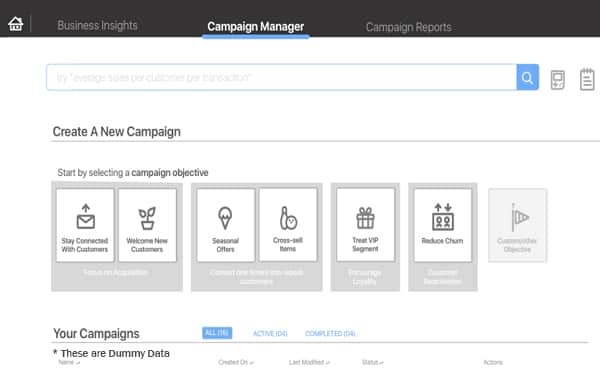 You receive instant availability of insights across deep, dense and diverse data sets for developing your sales strategies & customized targeted campaigns. You get performance metrics along with prescriptive measures. 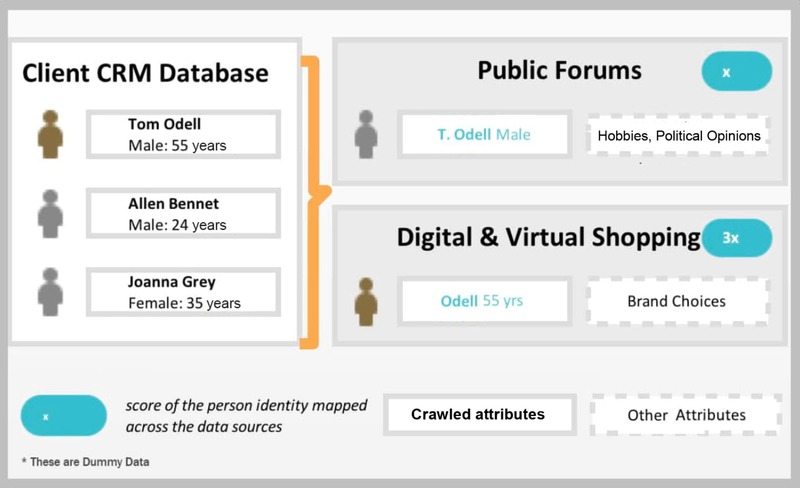 Our Master Person Index Tool helps financial institutions discover identities around specific attributes, resolve them to unique identities and map them to a financial institution’s customer data with high confidence. The tool generates customer insights at micro level and enables decision making regarding customer loyalty, retention and upselling. Taking the right action from this information can lead to improved customer satisfaction levels. You get customer insights at micro level. You make enabled decisions regarding customer retention and upselling. You receive instant availability of insights across deep, dense and diverse data sets matched with your customer data.